The importance of arc flash protection wasn’t taken seriously until the early 1980s. An article written by Ralph Lee, published in the IEEE Transactions on Industry Applications, first brought the seriousness of arc flash burns and injuries to the attention of companies. This sparked deeper studies into the problem. The studies showed that far too many workers, especially those in the petrochemical industry, were suffering serious electrical burns and accidents. This prompted companies to establish safety practices to better protect workers and electricians working on live electrical equipment. Petrochemical companies were among the first to recognize the potential dangers and the need for better electrical safety procedures and protective clothing. Others soon followed suit. Even though a greater amount of energy is released in high voltage electrical explosions, the vast number of low voltage equipment in industrial and commercial facilities results in many more electrical accidents. 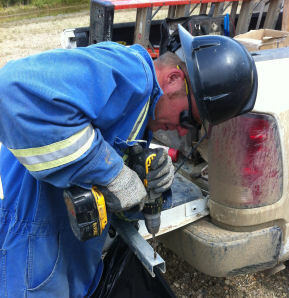 The smartest and easiest way to prevent injuries is to disconnect the power from equipment you are working on before you begin. In some situations, turning off the power can create a greater hazard than leaving it on. Standards have been established to prevent this. 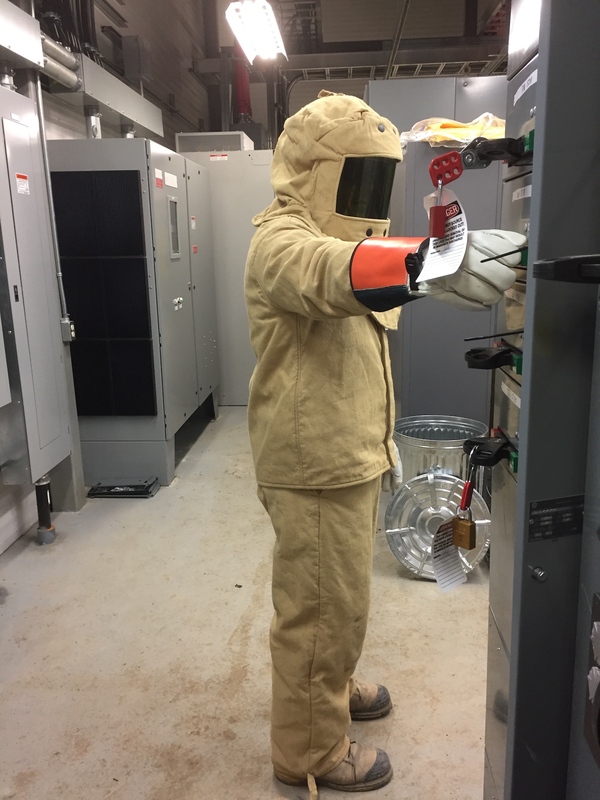 The standards put the responsibility on employers to establish safe practices and procedures designed to protect workers from arc flash injuries. The requirements outlined in the standard. 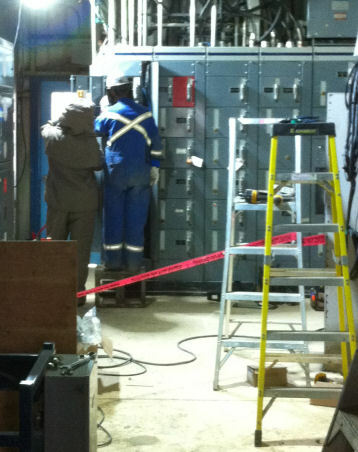 The importance of following an electrical safety program. The responsibilities of your employer. The best practices and processes to follow as described in the various regulations and industry standard guidelines. 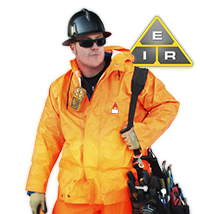 There are four main industry standards for arc flash protection. Federal Regulation code OSHA 29 – States that safety practices at work shall be implemented to prevent electrical shock or other injuries that may result from direct or indirect contact with electricity. The standard specifies that workers must be qualified to work with electrical equipment and that provisions must be in place to ensure the appropriate protective gear is used to perform the work. Safety practices are enforced by the OSHA. National Electrical Code – This regulation states companies must clearly mark electrical equipment that has the potential to create a hazard. The markings may be general or very specific, as determined by the company. It is speculated that future revisions to this standard may require companies to label the equipment with more detailed information. Defined responsibilities of the safety program. Precise calculations as to the degree of hazard present. Personal protective equipment suitable for the situation. In depth training for all workers. Proper tools to work safely. Proper warning labels on all equipment. Guide for Electrical Safety Regulation, IEEE Standard – For warning labels to be effective, they must hold enough information to clearly show the exact danger zones. Companies must determine the electrical safety zone and the areas to be entered only by qualified workers, known as the protection boundary. This regulation provides companies with a method of calculating incident energy rates to determine the level of PPE workers need to work safely in the area. Many companies now offer special arc flash protection equipment. The materials used are thoroughly tested for specific arc ratings. The ratings determine the maximum energy resistance the material will withstand before it breaks, or the point where second degree burns will occur. Selecting the proper PPE for the task is normally done in one of two ways. In most cases you or your employer will consult the hazard classification table, such as the NFPA 70E. Table 130.7(C)(9)(a). This table lists several possible electrical working scenarios by voltage level and recommends the appropriate PPE you should wear when performing these tasks. For example, if you are working on a 600V switchgear and the task is to remove the bolted cover exposing bare, energized components, the table suggests Category 3 arc flash protective gear. 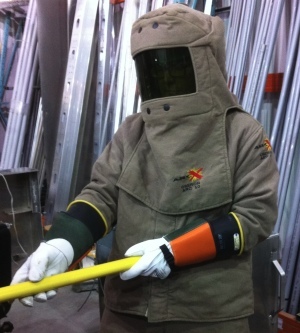 This includes PPE that offers a combined protection level of up to 25 cal per square cm. The minimum PPE required in any category protects against the maximum level of risk for that particular job. The other way appropriate PPE may be selected is by performing an arc flash hazard calculation. This calculation determines the potential incident arc energy. The IEEE 1584 has a guide to help you do these calculations as long as the bolted fault current, length of faults and other general information about the equipment is known. Once you have calculated the incident energy potential, you can select the PPE ensemble that offers greater protection than the potential hazard. 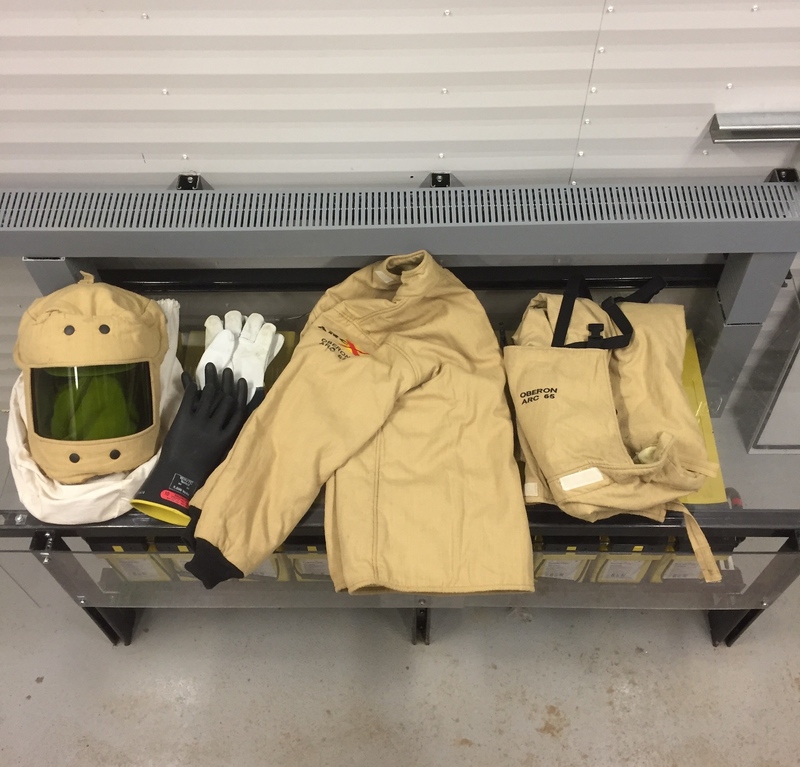 Personal protective equipment (see our Safety Clothing menu for more) provides protection in case an arc flash accident occurs and should be considered your last line of defense. Reducing the number and seriousness of incidents should be your primary concern. As with all aspects of electricity safety, the best arc flash protection is prevention.